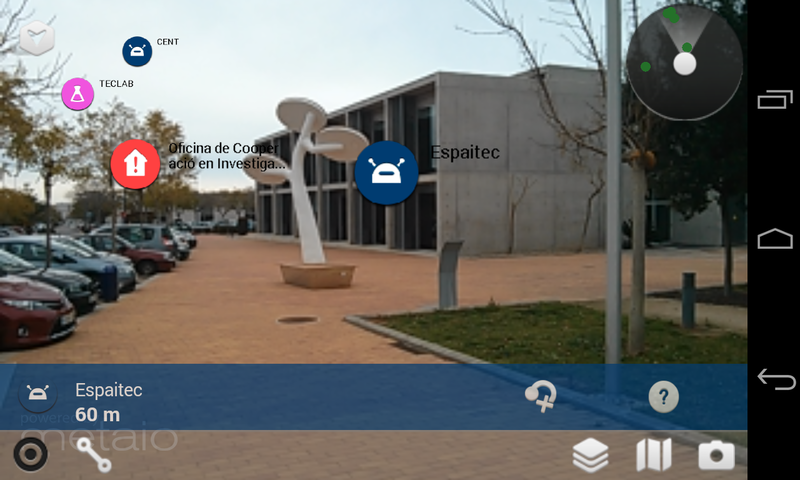 By applying ESRI technologies we have created an augmented reality navigator using Metaio. It helps the user to move around the UJI’s facilities in a very intuitive way. Thanks to the augmented reality the user can easily follow a route to arrive to his/her destiny in an immersive and very intuitive way. With a geoprocessing tool the best route between the user and his/her destiny is calculated. This geoprocess returns an array of XY coordinates which indicates the position of every part of the route. In these points several 3D models are placed to show the users the route that they have to follow to arrive to their destiny. It’s a prototype that works in outdoor environments but in the near future it will work in indoor environments too, allowing users to move all around the campus.